2014 – ENSEMBLE – Eindhoven Psych Lab, Effenaar, Netherlands. 2014 – ENSEMBLE Premier – Munchengladbach, Germany. 2013 – ACOUSTIC ENSEMBLE – St.Andrews Church, MK. 2013 – ENSEMBLE – K4, Nuremburg, Germany. 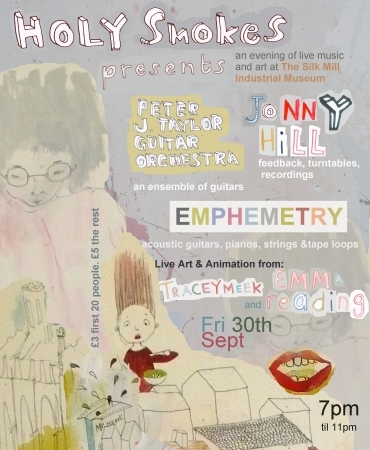 2013 – ACOUSTIC ENSEMBLE – Threadless, Bradford. 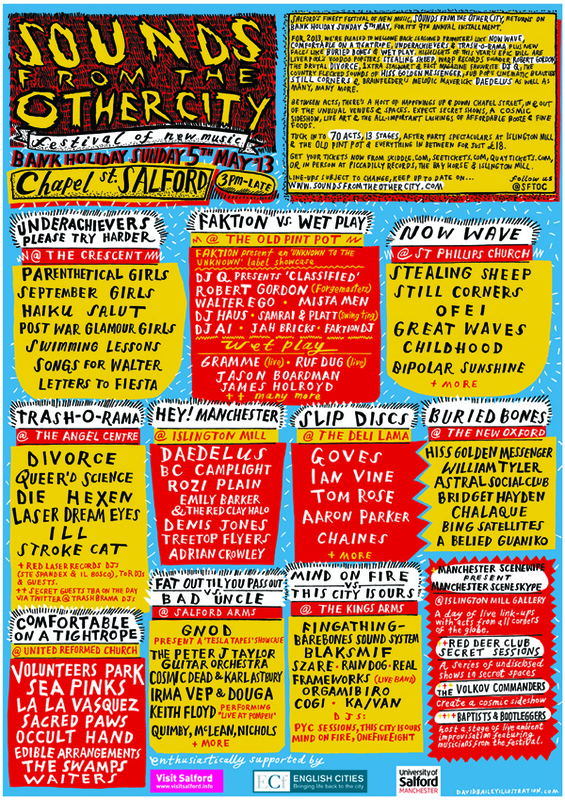 2013 – ENSEMBLE – Sounds from the other City, Salford Arms, Manchester. 2013 – ENSEMBLE – Avatarium Festival, St.Etienne. 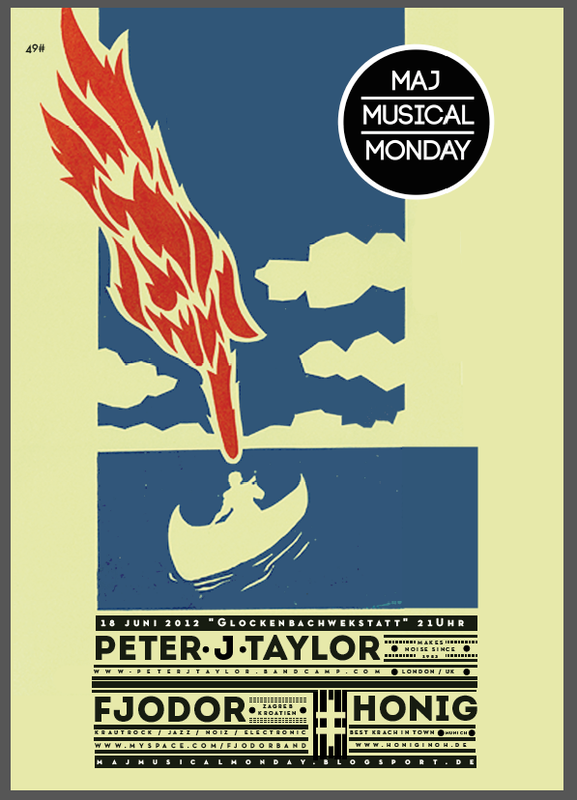 2012 – ACOUSTIC ENSEMBLE – Artworks, MK. 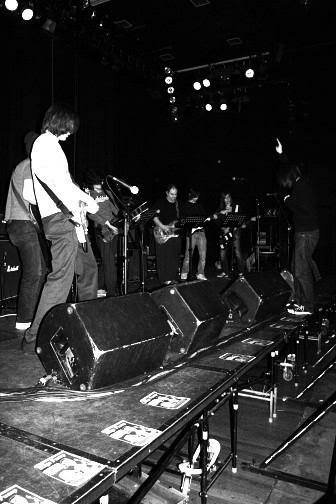 2012 – ENSEMBLE – Effenaar, Netherlands. 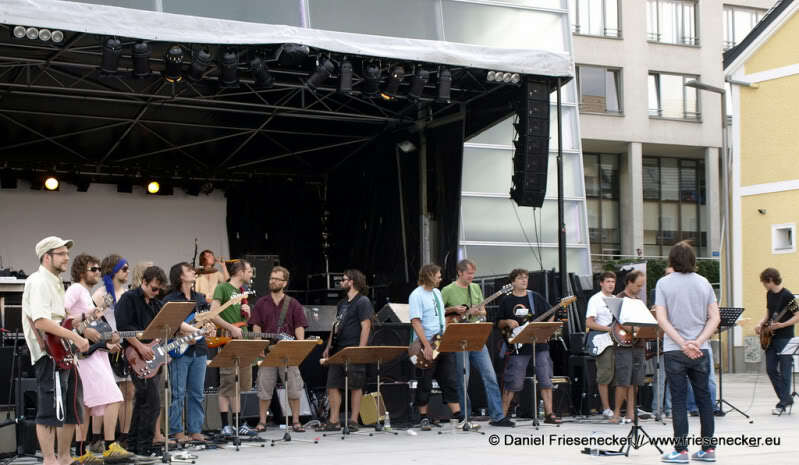 2012 – ENSEMBLE – GLOCKENBACHWERKSTATT, Munich, Germany. 2012 – ENSEMBLE – K4, M to V Festival, Nuremburg, Germany. 2012 – ENSEMBLE – Festival Gare Au(x) Gorille(s) #4 – Epinal, France. 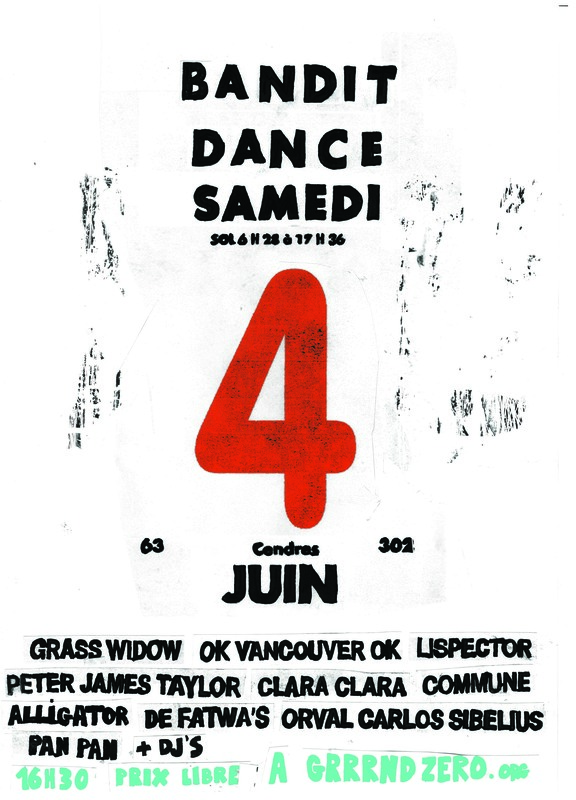 2012 – ENSEMBLE – CPCR(N4Booking)- Liege, Belgium. 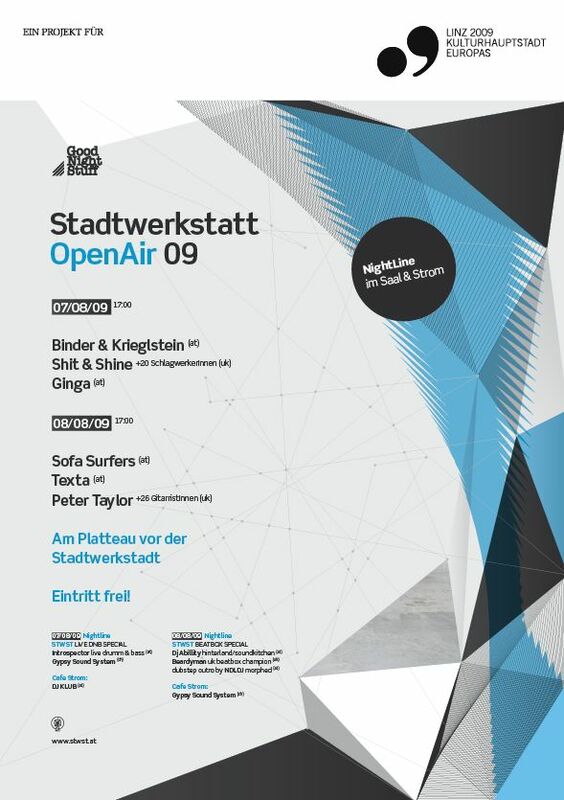 2012 – ENSEMBLE – NOISE FESTIVAL (W/ OVO) ZORO – Liepzig, Germany. 2012 – ENSEMBLE – Newcastle, Star and Shadow. 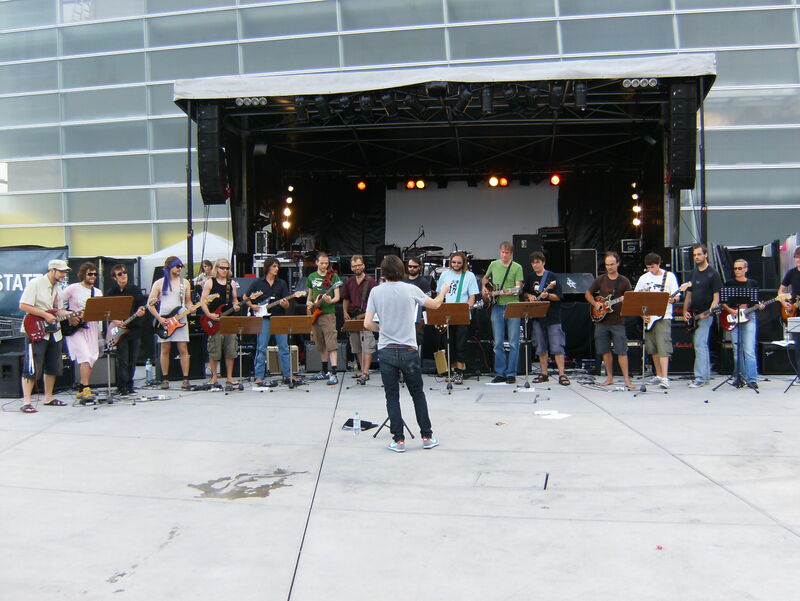 2011 – ENSEMBLE – Linz, Austria. 2011 – ENSEMBLE – Derby, Holy Smokes Night. 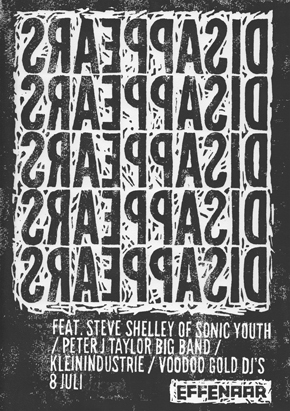 2011 – ENSEMBLE – New Works for Guitar and Bass – Grrrnd Zero, Lyon. 2011 – “MATE” – Ensemble Performance – Liverpool, Don’t Drop the Dumbells Artist Space, April. 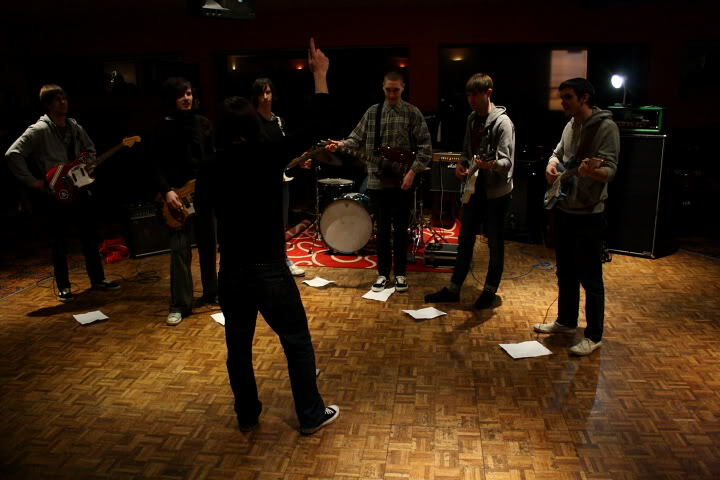 2011 – “MATE” – Ensemble Performance – Glasgow, Maryhill Community Centre, April. 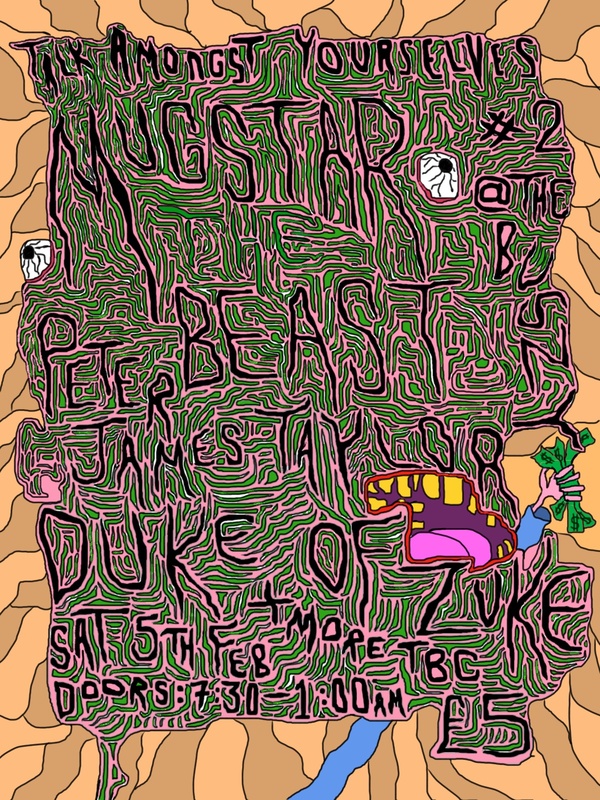 2011 – Music for Multiple Guitar Bass and Drums – The Buszy, Milton Keynes, Febuary. 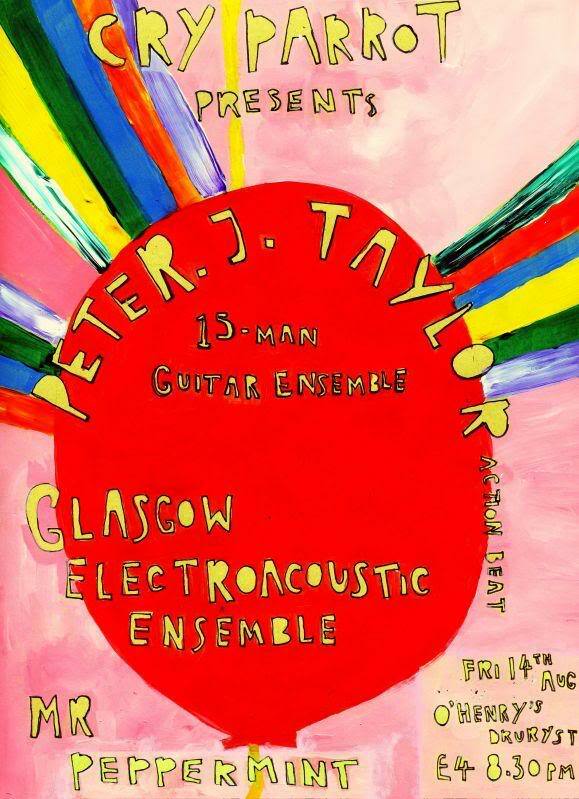 2010 – ENSEMBLE – New Works for Guitar and Bass – Milton Keynes Gallery, January. 2009 – ORCHESTRA – Music for 26 Guitars – European Premier, Linz, Austria. During the European Capital City of Culture, August. 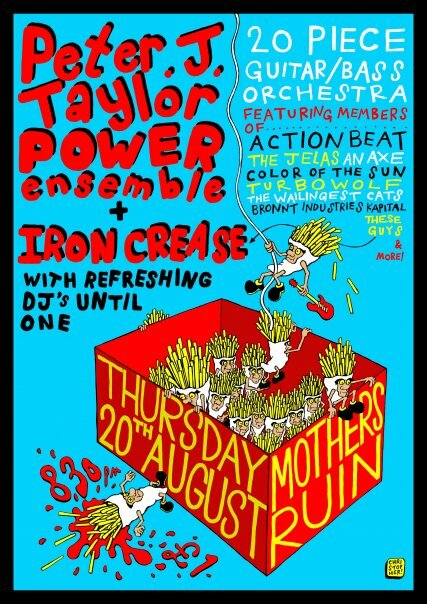 2008 – ENSEMBLE – Music for 6+ Guitars and Bass – Bristol, Mothers Ruin, August. 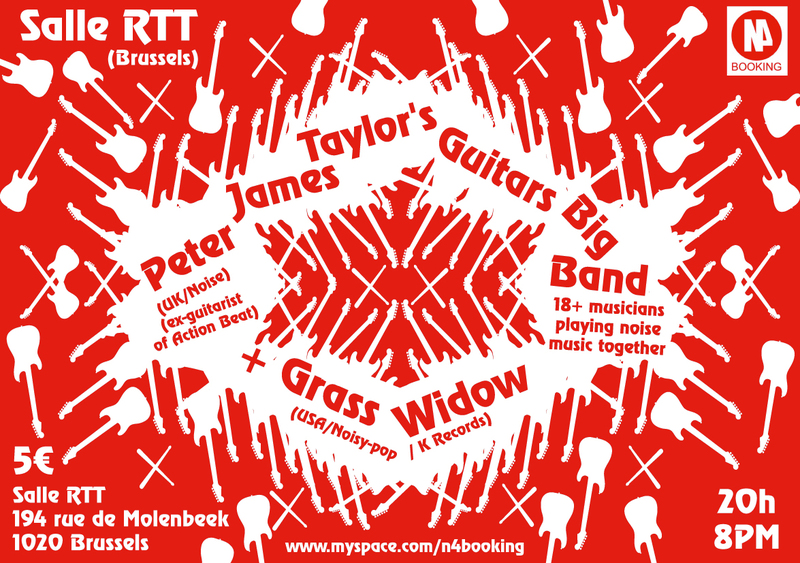 2008 – ENSEMBLE – Music for 6+ Guitars – The Pitz, Wougthton Centre, September. 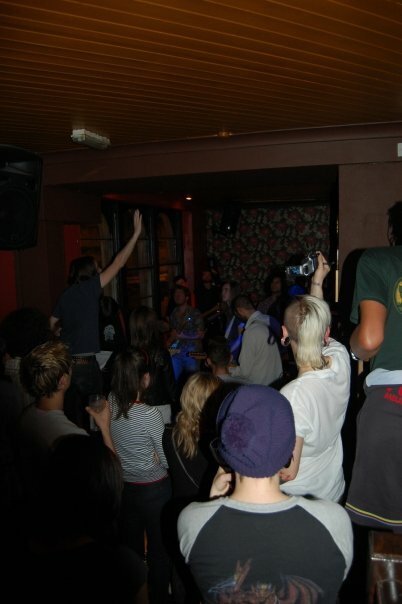 2008 – ENSEMBLE – Music for 6+ Guitars – Glasgow, O’Henry’s, August. 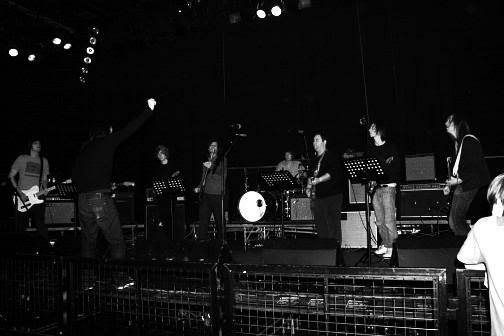 2008 – ENSEMBLE – Music for 6+ Guitars – Bletchley, Leisure Centre. January. 2007 – Music for multiple Guitars and Found Sound – Northampton University, Final Degree Show, July.